Deeds and certificates of title both provide proof of ownership of property. 1. What Is the Difference Between the Deed of Absolute Sale and the Deed of Assignment? 3. What Are Instruments of Conveyance & Transfer? Deeds and certificates of title have one function in common: both provide proof of ownership of property. The certificate of title must contain enough information to identify the piece of property and any encumbrances, such as mortgages. In contrast, the deed to a piece of real property may also include conditions of ownership and more extensive information about the property. The deed itself is also an integral part of a real estate transfer. Generally, a certificate of title is a state-issued document that proves ownership of property. Certificates of title can be used for both real property (land) and personal property (possessions). The certificate will generally contain the property owner's name and address, as well as some identifying features of the piece of property, such as a vehicle's license plate number or the address or location of a piece of land. However, sometimes the property is encumbered, meaning that someone else may have potential rights to the property (for instance, if another party holds a mortgage on the property or lien on a vehicle). If this is the case, the certificate of title will list such encumbrances as well. In real estate transactions, certificates of title can be especially important. When a title company issues a certificate of title on a piece of real property, the certificate sets forth the title company's opinion that the seller is, in fact, the owner of the piece of property. Because a piece of land, as opposed to personal property, cannot be picked up and given to someone else, it's more difficult to determine who "owns" real estate. Just because someone is living on the property doesn't mean he's the owner. Therefore, the title company's certificate of title says the company has done a full background check on the ownership of the land and certifies that the person selling actually has the right to sell. A deed is used solely for the transfer of real property. The deed lists the address, or other identifying features used to locate the property, as well legal names as the two parties to the transfer. Traditionally, the deed also contained any promises the buyer and seller made to each other as part of the transfer, such as the purchase price and any restrictions on use of the property. However, the modern practice is to include these promises in a separate contract of sale, which is then referenced in the deed. 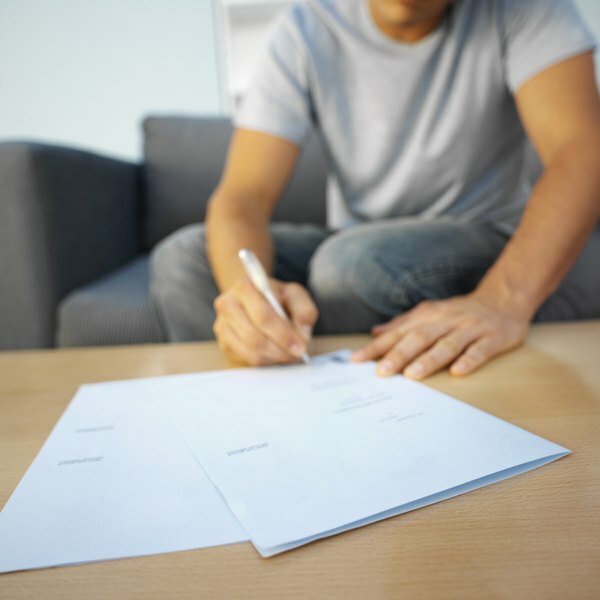 Creation of a deed listing the new owner is not enough to transfer a piece of real estate. The deed must be legally delivered from the seller to the buyer, meaning that the seller demonstrates his intention that the new deed take immediate, irrevocable effect. This sounds deceptively simple. Most courts will recognize delivery if the seller simply hands the deed to the buyer, but if one party presents evidence that the deed wasn't intended to go into effect now and forever, a court can find failed delivery and void the deed. Most parties now deal with this using the escrow process, in which the deed is handed to a third-party agent with instructions to convey it to the buyer when all sale requirements are met.